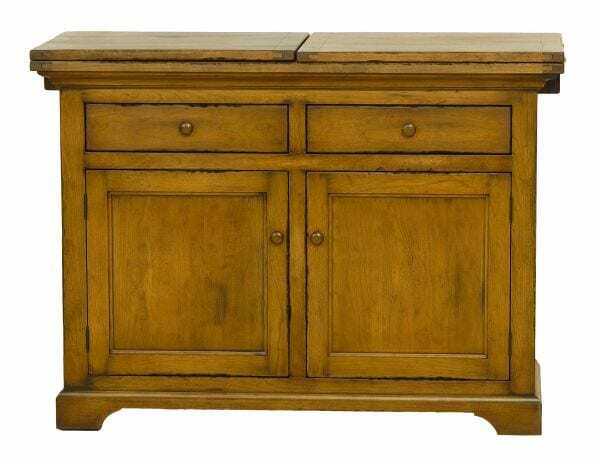 48″ Kensington Buffet shown in Cherry. 90″ wide when top is flipped out. Standard Features: 1″ thick plank top, top flips out both sides with supports, one fixed shelf, distressed, low sheen finish.